Best shop in Edmonton. Amazing staff and owners. Always a great selection. Support local!!! Elevate is my #1 place to go. I recommend this store to everyone i know. It is easy to get to, fairly easy parking, the staff are top notch and very easy going. I love how this store has everything displayed on many large screens which makes it super easy to read and decide what you want. 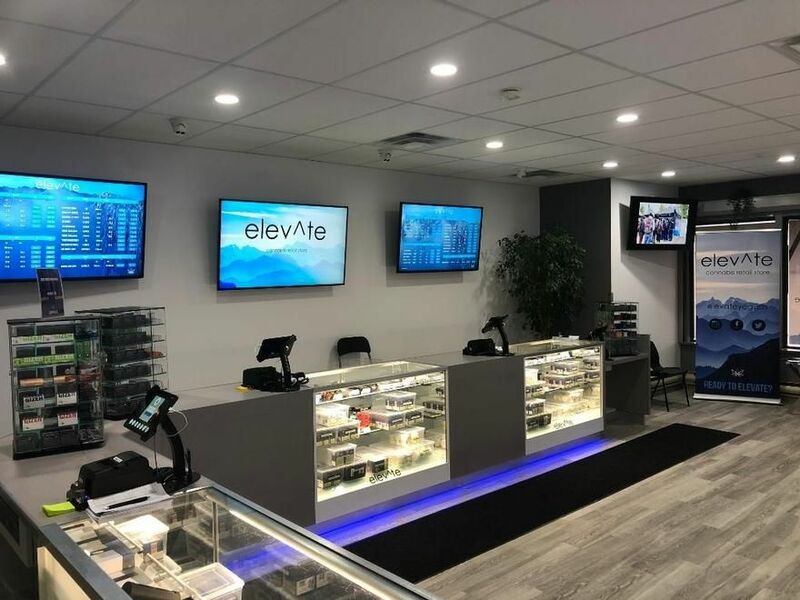 Don't waste your time at other shops, go to Elevate! THEY HAVE A RECYCLING BIN FOR THE STUPID AMOUNT OF PACKAGING!!! I know none of the consumer facing companies have control over the mandated excessive packaging but it's nice to see someone providing collection. This alone keeps me coming back. They also have excellent service and knowledgeable staff. they carry locally made glass wear; nice to see support for local artisans! Amazing shop with everything well organized and laid out. Helpful friendly staff and decent selection, given the shortages. Inviting atmosphere, Will be back for sure! Okay, now THIS is how recreational shops should be. Friendly and comfortable avoiding the Apple Store-like sterility, but with all available product all clearly marked and displayed. None of this “we have displays of all these products but actually none of it in stock” malarkey, lots of neat gear, and staff willing to let you just check everything out instead of pouncing on you to take your order and get you out as soon as possible. Approachable staff, easy parking, it’s all good here. I live in millwoods and have travelled here twice for the great variety and extremely friendly staff!! Recommended to my intown and out of town friends 5/5 stars! Second time there! Staff very friendly & helpful!! Always have many products available! AND BEST VARIETY IN THE CITY!! Best dispensary in the city! I visit their store a few times a week. Always stocked with many options. Everyone there is a pleasure to chat with and very professional. Never disappointed with the products.